This German shepherd may look a bit squashed, but he’s full of life and looking for a forever home. There’s a dog out there who might, on first glance, seem like he’s shrinking away from the world. 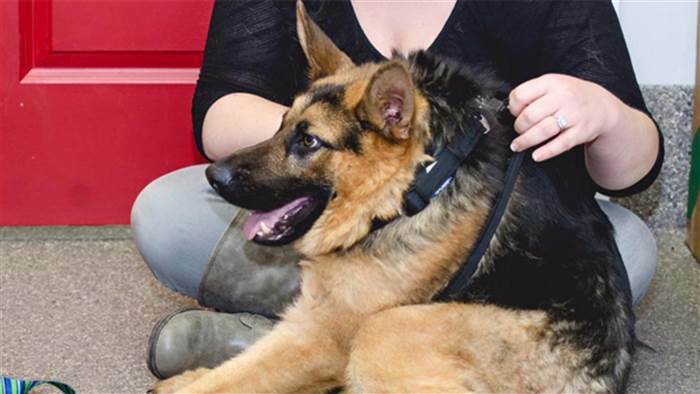 But look again: Quasimodo is actually a purebred, 5-year-old German shepherd who happens to have an extremely rare disorder called short spine syndrome. And he’s looking for a forever home. You may not have heard of short spine syndrome before. That’s probably because there are reportedly only 13 known dogs in the world affected by the condition. But good news for Quasimodo: He’s not alone. Another article (on AL.com) points to other owners of short-spined dogs who also have their own Facebook pages (and are sometimes called Quasimodo as well, in reference to the title character from the 1831 novel “The Hunchback of Notre Dame”).